When the temperatures rise and the snow has finally melted, there's no better way to celebrate the changing seasons than a few drinks in the open air. 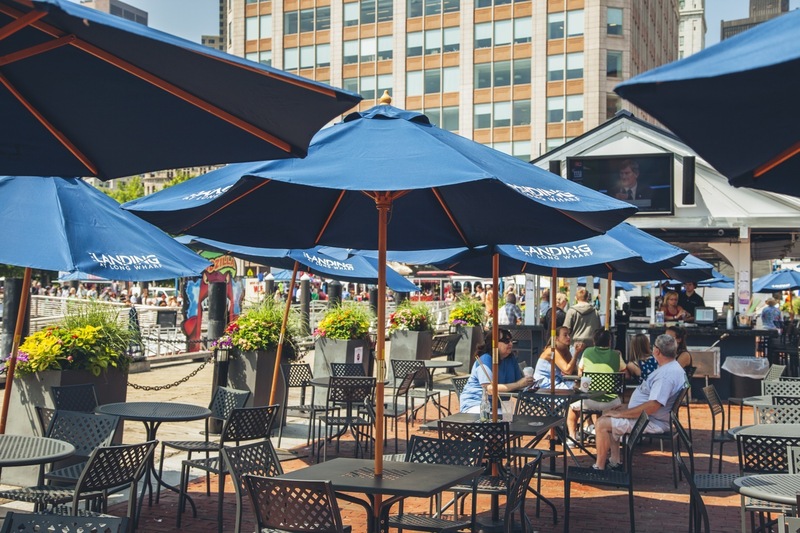 Leave the layers at home and head to one of these outdoor Boston bars where you can enjoy sun and fun. 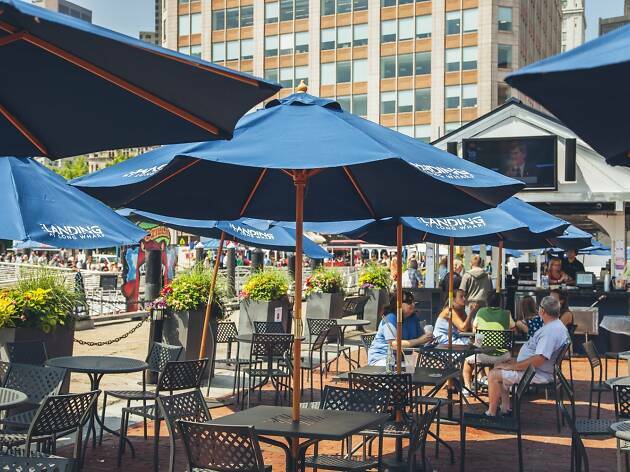 From cheery terraces to waterfront views, these are the best patio bars in Boston for al fresco drinks. For more warm-weather fun, check out our guides to the best rooftop bars in Boston and best ice cream in Boston. If the weather is not so great, try one of Boston's best breweries or one of the best indoor activities in Boston. Charlie’s Beer Garden is the favorite among the Harvard Square crowd but Daedalus’s rooftop patio offers a classier option for outdoor drinking. The patio features lush flower boxes and both heat lamps and fans to deal with our fickle weather. Tops on the extensive list of beer, wine, and cocktails is that summertime favorite, the cairpirinha. 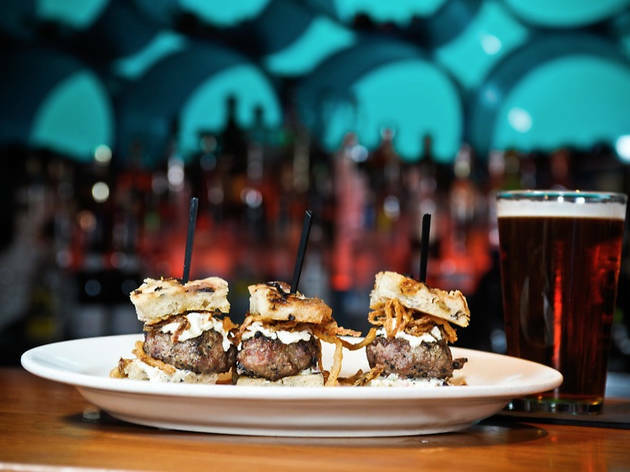 Deep Ellum is an oasis for craft beer aficionados amidst Allston's college bars. The indoor setting is stylish, with dim lighting and exposed brick, perfect for enjoying Trappist, farmhouse, and sour beers. But warmer months beckon beer enthusiasts to the outdoor patio for al fresco sips of lighter lagers. 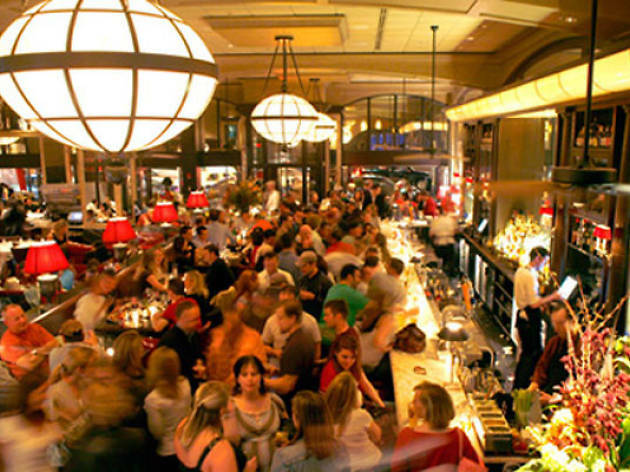 This big, bustling American brasserie has something for everyone, from early morning to late night. 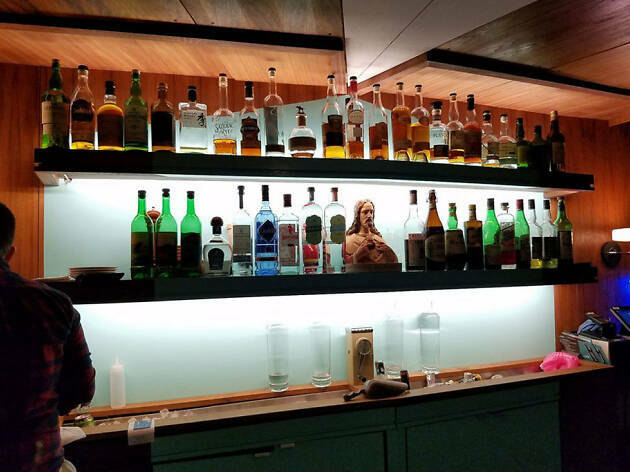 The bar program is exceptional, backed by enthusiastic servers, and the heated outdoor patio is a perfect place to enjoy high quality cocktails. 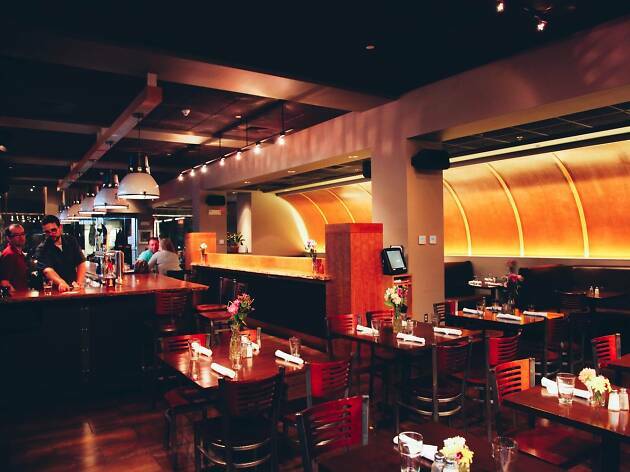 The menu features classics such as steak frites and fresh seafood. Expect major crowds before Red Sox games. Open from Spring through late Fall, this fully outdoor patio bar draws big crowds to enjoy the sun and catch a breeze while sipping cocktails or beers right on the wharf. It's a great place for groups, as beers are served by the bucket and signature fish bowl cocktails like the 32 oz. Guppy Bowl and the 64 oz. Fish Bowl require more than one drinker. Don't forget to order a few snacks to keep you going. 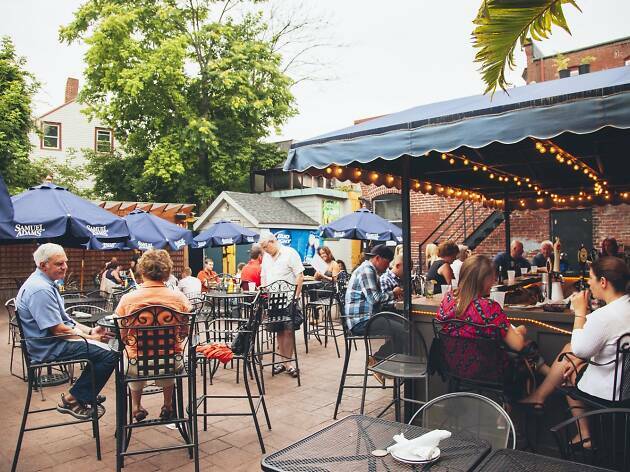 This hip neighborhood hangout features an expansive, dog-friendly patio lined with bright blue umbrellas. 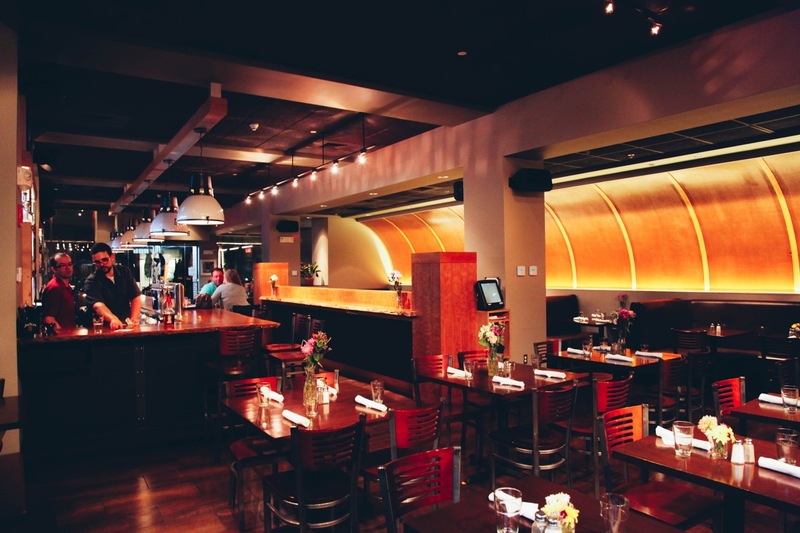 It's a friendly spot for enjoying a round of beers and a few treats, like Frito Pie, off the eclectic menu. 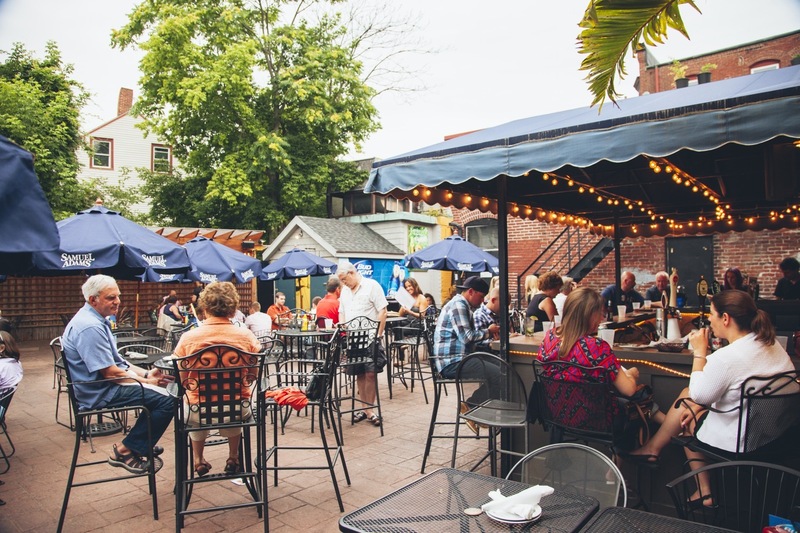 While the patio is great any time during warmer weather, keep an eye out for occasional events like Auto Flea and Paella on the Porch. Casual and cash-only, this underground beer bar punches above its weight with more than 150 bottles and 17 rotating drafts. You'll find New England craft beers like Jack’s Abby, Fiddlehead, and Notch alongside Flemish sours and rare bottles. The outdoor patio ups the game in fair weather, and given its location near Fenway, you might even catch the excitement on game days. 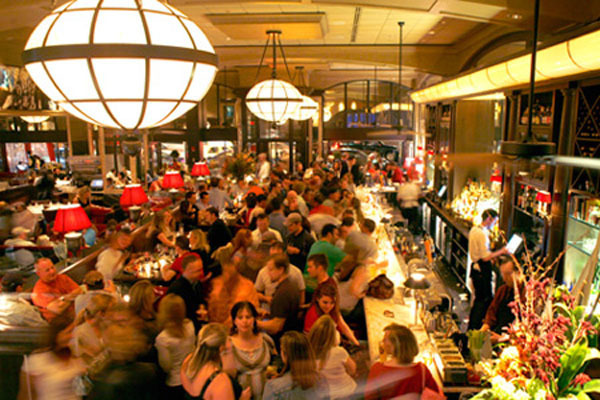 Located in the heart of Copley Square, this bustling spot draws a mix of Back Bay workers and out-of-towners for solid cocktails and American fare. In warmer weather, Globe Bar & Cafe has one of the neighborhood's most popular rooftop bars for outdoor dining and drinking. 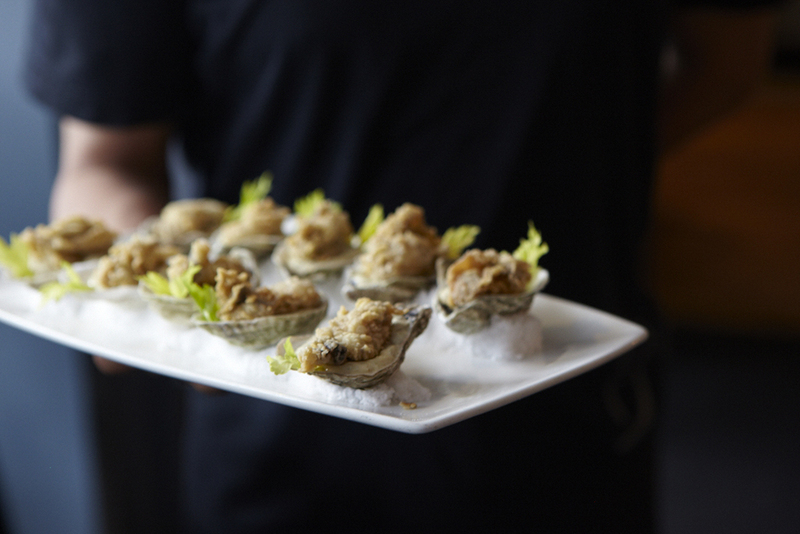 Barbara Lynch’s subterranean South End eatery is a cozy spot for a quick round of procescco and oysters, especially great for a date. 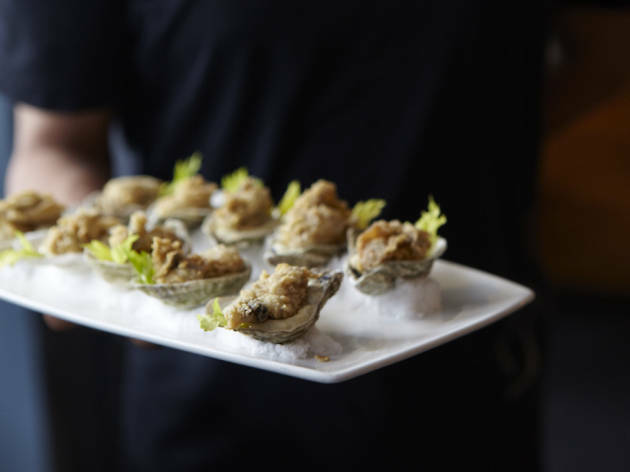 The backyard patio takes the romance outside, where you can choose from a daily selection of more than a dozen different east and west coast oysters. Pair with a crisp, cold glass of white wine and it's the perfect al fresco rendezvous. 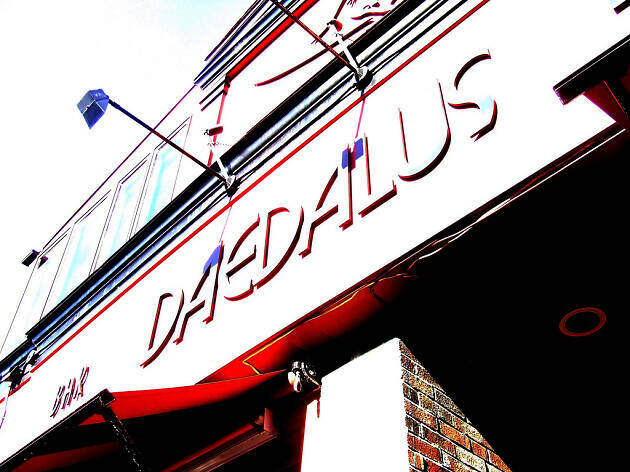 Sleek decor, addictive appetizers, and tasty entrées keep the locals coming back to this Dorchester hot spot. But the excellent patio space draws fans from much further afield for cocktails and fresh air. The vine-covered fence surrounding the patio creates a cozy vibe and makes this patio feel like a true oasis. 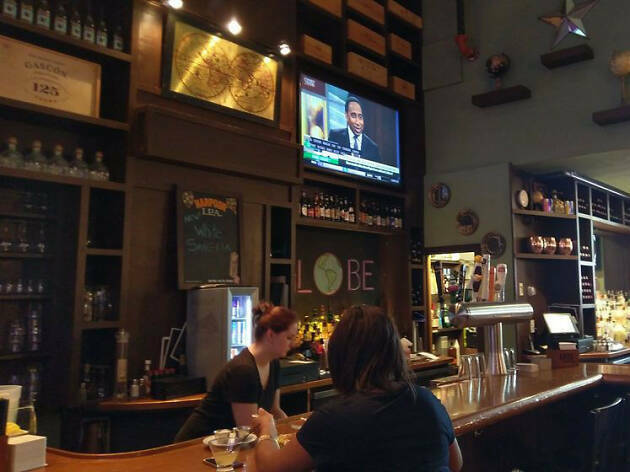 Abigail’s long bar has plenty of room for patrons at any time. The cocktail list includes everything from Pimm’s Cups and warm Toddys to shot combos and creative cocktails. 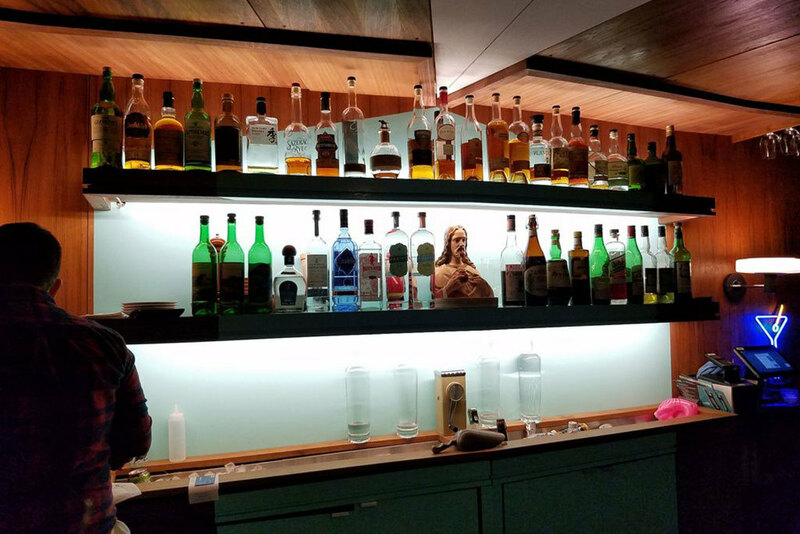 The bartenders are friendly and knowledgeable, so be sure to have a chat, but definitely make your way to the outdoor patio seating in the warmer months. 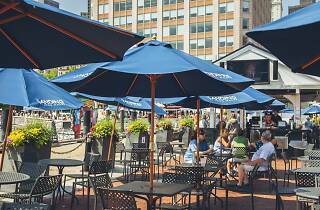 Devlin’s massive outdoor patio,open in the warmer months, is a great place to enjoy some al fresco drinking and dining. There's even a flatscreen at the outdoor bar so you can catch the Sox game. 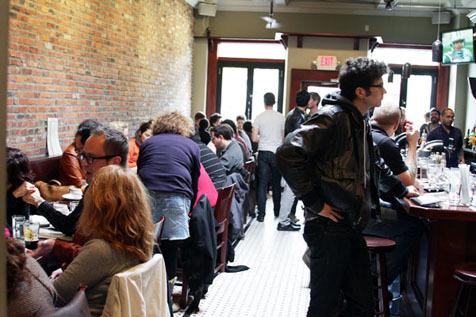 Tables are plentiful, so settle in and try a few of the rotating drafts. 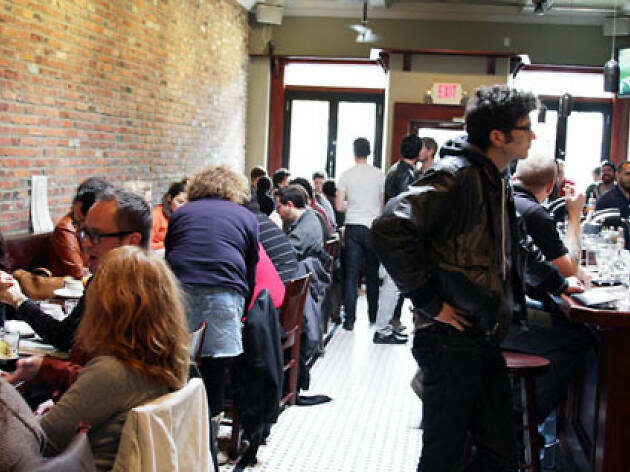 There's a regular roster of patio musicians plus live jazz during Sunday brunch. 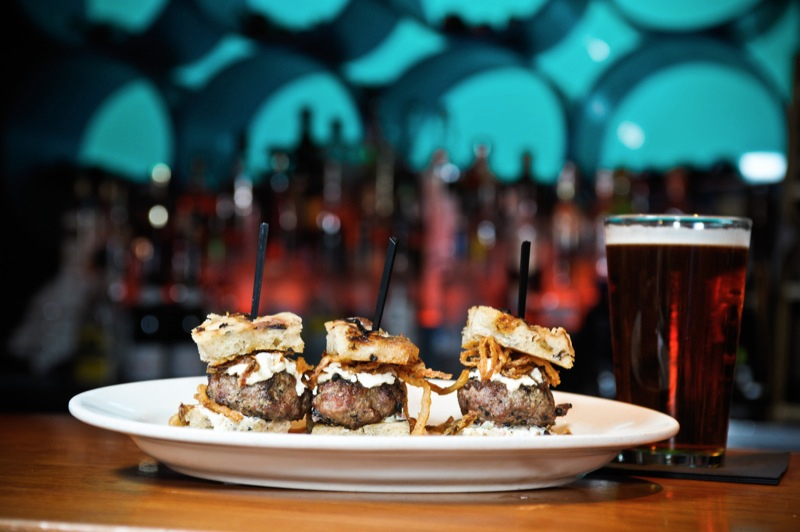 The rest of the year features new American pub fare, well-made cocktails, and friendly staff.